As a new or Intern broker in South Africa, you must complete your Intern Logbook Portfolio of Evidence (PoE) or EAAB Logbook as it is sometimes referred to, within 12 months from the date your Fidelity Fund Certificate (FFC) is issued. The PropAcademy Intern Logbook: Premium Commercial & Industrial (C&I) course is designed to enable you to complete the two key sections of the Intern Logbook requirements – knowledge and projects – within three months. Thereafter, you can add to the logbook during the remaining nine months, allowing you to put this statutory requirement behind you and get on with the business of dealing in property. To help intern agents through this often complex and confusing process and kick-start your career, we’ve developed a series of innovative e-Learning courses: the Intern Logbook: Premium course; the Intern Logbook: Knowledge course; and the Intern Logbook: Projects course. Remember that throughout your internship, you must be mentored by your Principal or a Full Status broker who has held this status for more than three years. As some estate agents have completed parts of their Intern Logbook requirements, and now are under pressure from the EAAB to perform, we have designed the Intern Logbook: Knowledge and the Intern Logbook: Projects courses which can be taken separately as required. The Intern Logbook: Premium course covers the content of both the Intern Logbook: Knowledge course and the Intern Logbook: Projects course. The Intern Logbook Premium course is fully modular, with each module dealing with a specific topic. 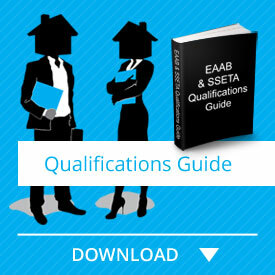 The knowledge component of the course is generic as regulated by the EAAB. It provides training material that must be read and understood; as well as short, simple quizzes that must be completed successfully at the end of each module before moving on to the next. This section of the course refers to brokers, facility managers, rental and sales agents as “Intern Estate Agent”. Once this has been done, you can progress to the Projects section of the course. A total of 10 Projects are provided as individual modules, along with PropAcademy-developed templates. Each project must be treated as a separate assignment, using the templates to help you every step of the way. The modules are easy to follow and give you a “hands on” connection with PropAcademy. Why buy this course? It’s quick, detailed, easy-to-understand and can be completed online, enabling you to complete it from anywhere in in South Africa. We pride ourselves in our after-purchase service. Click the “Take this Course” button below to purchase this Intern Logbook Commercial & Industrial (C&I) Premium course today! This course is valid for 3 months.